Holly Foxen Wells here from GlamourMash, a blog focused on fashion, food and design. 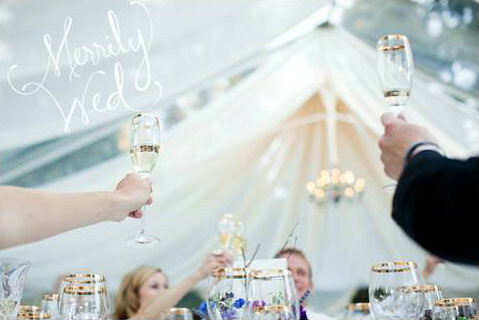 I am beyond thrilled to be guest posting on Merrily Wed’s beautiful wedding blog today! I’d like to give you my “two cents” on a small, but important detail of your wedding. The wedding favors! Wedding favors are a fairly new tradition in the wedding world and I think it is often overlooked. Wedding favors are a special way to say thank you to your guests for their love and support! The key to a great wedding favor is to make it personal and thoughtful. Here is my list of the Top Five sweetest wedding favors for your guests. Succulents are a great gift to send home with your wedding guests. They are small and easily transportable and double as a great way to decorate dinner tables or the cake table. This is a very cost effective take-away that almost everyone will be a fan of. Who doesn’t swoon for a little something sweet? A small package of seeds labeled with your name and wedding date seems to be a big trend right now and you can easily see why! It’s such a simple idea but is so meaningful. Knowing that all of your friends and family will have a flower or plant growing in their garden symbolizing you and your mate’s love for each other is a wonderful gift for both you and them. A glass jar filled with the makings for hot cocoa is the perfect gift for a winter wedding. These takeaways are easy to make and have such an impact. Add a small note or your wedding date tied on the bottle with twine and you’ve mastered the DIY wedding favor! This is one of my favorite wedding favor ideas. Do you or your husband-to-be have a special recipe or talented thing to make? Maybe it’s jam or a spice rub you use for meat. 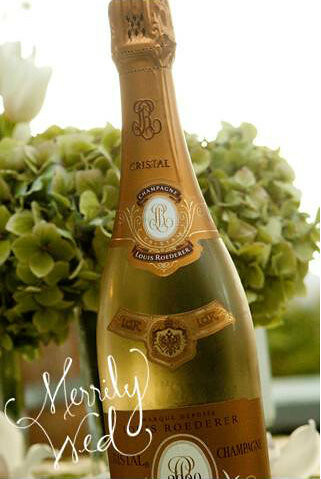 Whatever it is, bottle it and share it with your guests. Several posts ago I introduced you to Michelle Van Otten, a respected San Francisco Bay Area author, international public speaker and consultant with expertise in personal peak performance, business image, first impressions and body language. Here is our second in a series of guest posts in which she will give you valuable hints, tips and clues – helping you to become the most magnetic, radiant, confident version of you possible. This time around it is all about how to speak confidently and deliver a wedding toast others won’t tune out after the first sentence. Whether you are a maid of honor, best man, mother or father of the bride or groom, or just speaking at a non-wedding event, remember these six tips (or pass them on to someone who needs them)! 1. Let’s begin with the basic fact that 93% of our communication with others is non-verbal. That’s right! Only 7% of communication is what you actually say. Non-verbal communication is the single most potent form of communication there is and it’s the very first thing you need to know about how you show up to others. Your 93% comes through your mood, emotions, body language, tone of voice, facial expressions and appearance before a single word is spoken. Knowing that you are already going to be filled with positive emotions and looking and feeling your best, you can relax about the what to say part because you know that the majority of what you are conveying is already being said. 2. The most important thing you must remember about speaking with a group is that connection matters more than anything! When you grab the mic, take a deep breath as you make eye contact with each and every person you can. Taking them in and connecting with them through your eyes first. Let them feel your heart and your emotions and you will move them to tears. 3. Convey confidence and presence with your posture and body language. Stand tall and ground yourself through your feet first. Then lift up through your collar bone as if there were strings attached to your collarbone and those strings were lifting you straight up to the sky. Not only will you appear elongated and graceful, you’ll look elegant and self-assured. 4. Remember to breathe! Pausing to breath helps your oxygenate your brain and body and also serves you in being more powerful with your delivery. 5. Use cue cards and make bullet points rather than painstakingly writing out a long speech you have to read. Remember that as long as what you say comes from your heart and is a true reflection of your authenticity and uniqueness, people will always be moved and inspired by you. You can’t get that wrong! 6. Relax and know that the difference between being a mediocre speaker and a great speaker is simply knowing that it’s all about the energy you give and the experience you create for others rather than focusing on getting the words right or saying it perfectly. Just be your glorious, beautiful self and speak from your heart. You’ll receive a standing ovation every time. Follow these steps and Michelle Van Otten will help you give the most magnetic, radiant, confident speech possible! Success in any endeavor is always an inside job first and an outside job second. You’ve got to have the inner game in order to reflect a stellar outer game. She is the master at showing you how easy it is to achieve your ultimate self!